Justine Vandergrift (Canada), Wildwood Kin (England), Ron Hawkins (Canada), JW Roy (Holland), The Curst Sons (England) and more. This show was 32nd in the global folk chart. There are 14 songs on this edition of the show and exactly half of them are by bands and singers appearing on the program for the very first time. The debutantes include a Norwegian chanteuse, a couple of English trios, and a young Canadian troubadour and there is song whose lyrics includes the titles to 16 Bob Dylan tracks - and which is dedicated to actress Charlize Theron. You can find the playlist for this edition of the program, as well as more info, at www.tiams.org. 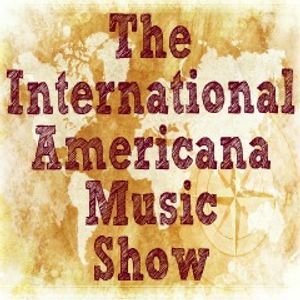 The International Americana Music Show is the only radio show to play Americana music made solely by non-American artists. Thanks for kind words... Do check out the rest of The Curst Sons album; songs as strong as Shouting John. Love this. I shall be adding it to my already rather demanding listening schedule! Thank you...glad you enjoyed it.